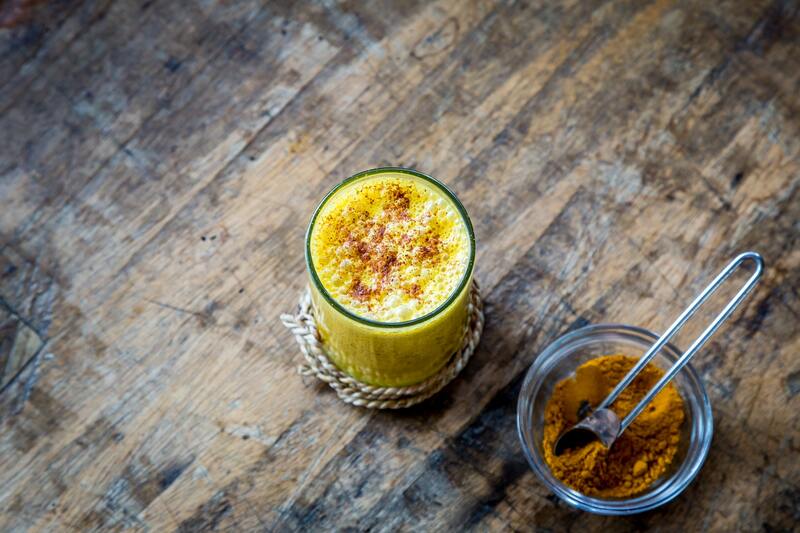 With an earthy flavor and golden appearance, turmeric tea is a golden elixir that takes just minutes to prepare. Brewing this tea is simple, without a lot of fuss or fancy presentation, making it a great beverage to enjoy on the go or when relaxing with friends and family. Turmeric tea is a powerful and soothing remedy for everything from the common cold to aches and pains. Revered for centuries in Asia thanks to its healing properties, this tea features a delightfully spicy flavor and supports your health. Turmeric is a spice made from the turmeric plant, scientifically known as Curcuma longa, which is part of the ginger family. Native to India, turmeric is also cultivated widely in southeast Asia, Oceania and Western Africa. The largest producer and consumer of turmeric is India, which is reflected in the use of turmeric as a staple in everything from food and beverages to turmeric supplements and beauty products. Used in traditional Indian healthcare known as Ayurveda, turmeric is believed to offer numerous beneficial properties when it comes to well-being and overall health. Studies have shown ground turmeric has the ability to prevent and slow down the development of blood clots while additional research has shown its efficacy in the treatment of rheumatoid arthritis and joint pain (1) (2). Turmeric can also aid in weight loss by speeding up metabolism. Some believe turmeric may help treat Alzheimer's disease, largely due to the fact that India has high concentrations of turmeric in food and drink and ranks among the lowest when it comes to prevalence of the disease. Research on the use of turmeric in treating neurological diseases such as Alzheimer's has been inconclusive and is ongoing (3). A number of studies and reviews have also been conducted to evaluate the effect of turmeric as a cure for different types of cancers, with mixed results (4). In addition to its potential as a natural remedy in the treatment of neurological disorders, turmeric has shown promising evidence of efficacy when it comes to the treatment of skin disorders. Studies have shown turmeric is effective in treating psoriasis flare-ups and its anti-inflammatory properties help to reduce redness and skin irritation (5). Turmeric is mildly aromatic, with a hint of ginger or citrus scents. While its aroma is mild, the taste of turmeric is where this root packs its punch. Fresh turmeric root features a pungent, bitter flavor profile that is slightly peppery, earthy and bitter. It is vibrant yellow in color and easily recognized at spice markets and your local grocery store when in ground form. Turmeric contains a compound known as piperine that studies have shown works to lower blood pressure (6). This same compound can help lower blood sugar, which means that if you suffer from diabetes, it's a good idea to limit your intake of turmeric tea or monitor your blood sugar levels cautiously. It's also recommended to avoid turmeric two weeks before surgery to avoid these effects during the procedure. If you are pregnant, you should only consume turmeric tea is small amounts as it can stimulate the uterus and cause premature contractions or promote menstruation leading to miscarriage. Make sure to discuss with your doctor before consuming turmeric tea. The beautiful, vibrant color of this tea can dye or stain everything from blenders to pans and countertops. Be careful brewing this tea when wearing light colored clothing to avoid stains. To remove stains from cookware and tea utensils, make a paste using baking soda and water and scrub vigorously. Basic turmeric tea consists only of turmeric root or powder combined with water and optional flavoring. This recipe takes just 5 minutes of prep time and 10 minutes cook time to create a vibrant yellow, delicious tea blend. Turmeric tea can be made using tea bags when in a hurry, but this tea is best consumed with fresh ingredients. Step 1: Add 4 cups of water to a medium saucepan and bring to a rolling boil. Step 2: Add 1 teaspoon ground fresh turmeric root or turmeric powder to the hot water. If you prefer a stronger flavor, you can add 2 teaspoons. Step 3: Turn the heat down to medium and allow to simmer for 10 minutes. Step 4: Strain the tea using a fine mesh tea strainer into your cup and flavor as needed. Typically, turmeric tea is flavored using lemon juice, fresh ginger root, ground cinnamon and cayenne pepper. 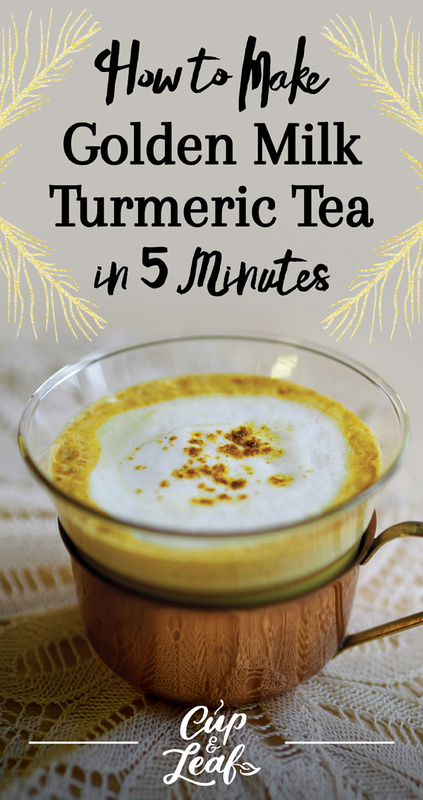 Make creamy turmeric tea by adding milk for a rich, full-bodied flavor. 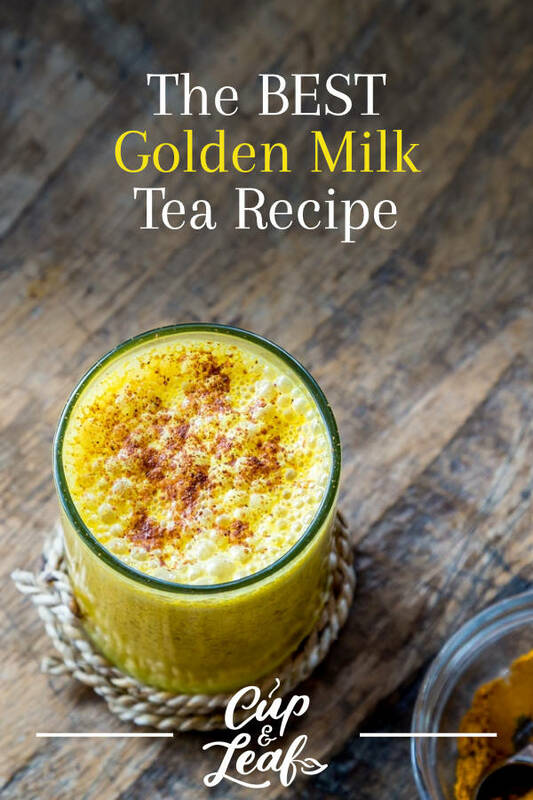 The milk works to counteract the strong flavor of the spices in turmeric tea so this milk tea recipe is a good option if you are trying turmeric tea for the first time or prefer a milder flavor. The total time to make this tea is a fast 5 minutes so you can whip this up first thing in the morning before running out the door. Step 1: Gently heat 1 cup of coconut milk or almond milk on the stovetop using a small saucepan on low heat. Step 2: Add 1/2 a teaspoon of turmeric powder, 1/2 a teaspoon of chopped ginger root, a dash of cayenne pepper or ground black pepper and sweetener such as brown sugar or raw honey to a small jar or bowl. Step 3: Pour the warm milk into the jar and stir well before pouring into your preferred tea cup or mug using a fine mesh strainer. Enjoy! 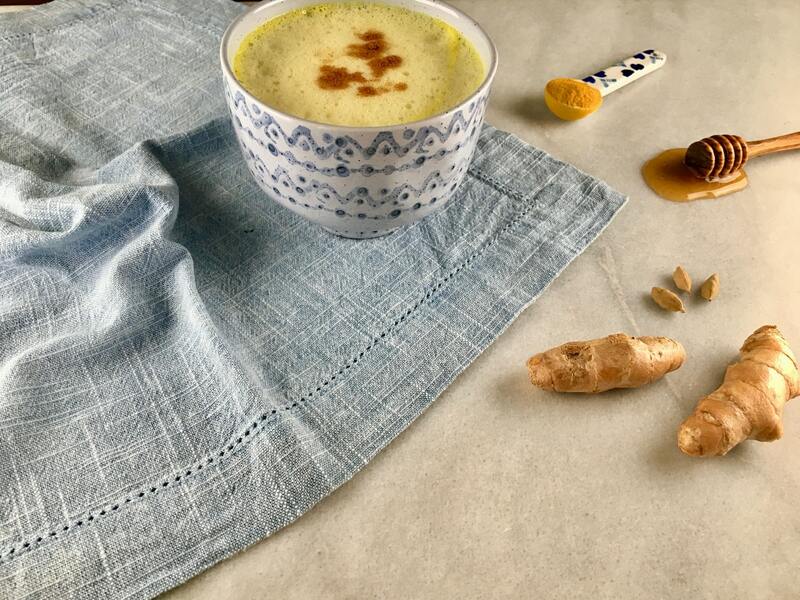 Turmeric has been shown to offer a wide array of health benefits — what better way to enjoy a healthy lifestyle than with a piping hot cuppa tea? 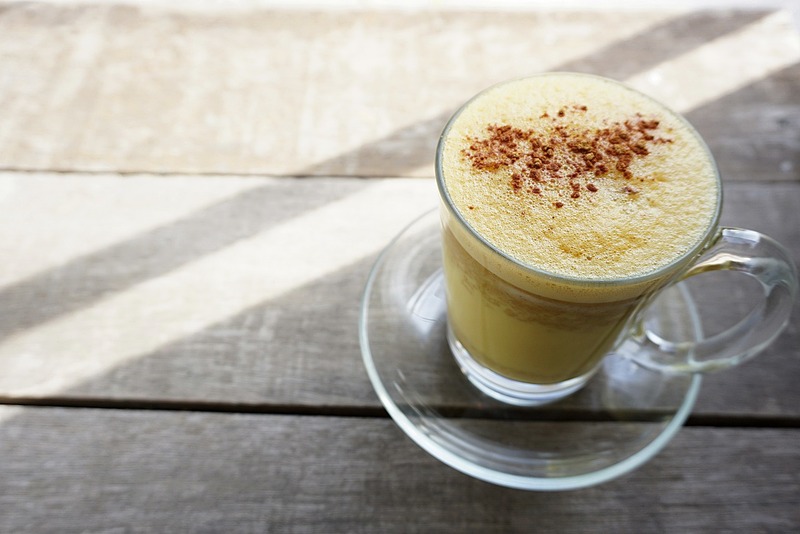 Whether you like your turmeric tea strong and straight or blended with milk to form a creamy finish, drinking turmeric tea is a great way to stay healthy and happy.